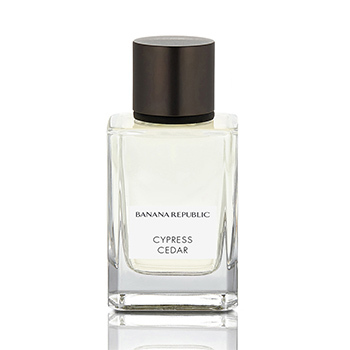 BANANA REPUBLIC Icon Cypress Cedar is an Eau de Parfum. Fresh shaved cedar! This fragrance takes me back to when I was young when there were local butcher shops around the city. They all had a similar smell of fresh shaved Cedarwood on their floors to absorb any spillage. The smell was best first thing in the morning, before the floors were too messy. It had a fresh, cypress, woody, cedar note. Fragrance notes of mint, bitter orange, pink pepper. Heart of black peppercorn, rhubarb, cedarwood. Base of cypress, patchouli, moss, vetiver, and musk.